The first instinct we have when we are faced with the destructive power of fire is to run, flee and escape to our salvation. This is what we would normally do. Yet, this is a game for the courageous, not faint-hearted. When people run from the fire, heroes run to challenge it, run into action. Do you want to join these brave men? Are you a firefighter by heart? Quench the FLAMING REELS!<br><br> Welcome to the fire station! Today you are faced with a 25 Payline Inferno that needs to be put out! This brand-new slot from GameArt is packed with features such as FREESPINS, triggered by the BONUS symbol and awarding 9, 12 or 15 FREESPIN!!! 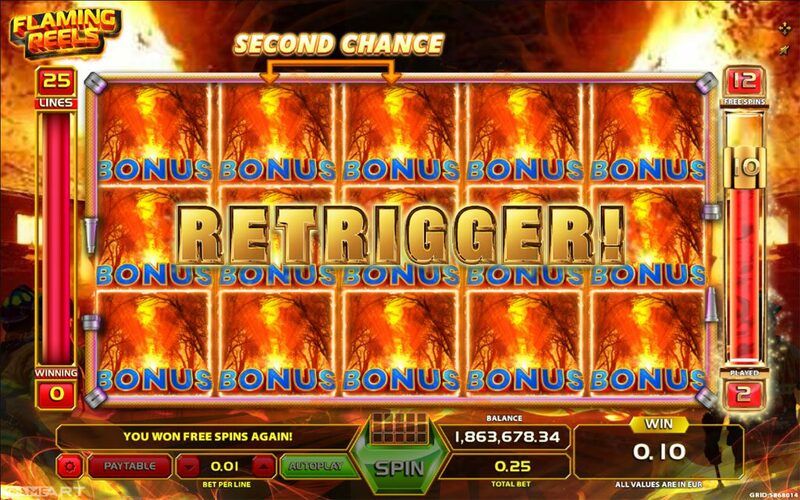 If two reels from reel 1, 2 or 3 have stacked symbols, you will trigger the SECOND CHANCE feature and the reels will become engulfed in flames! Worry not! 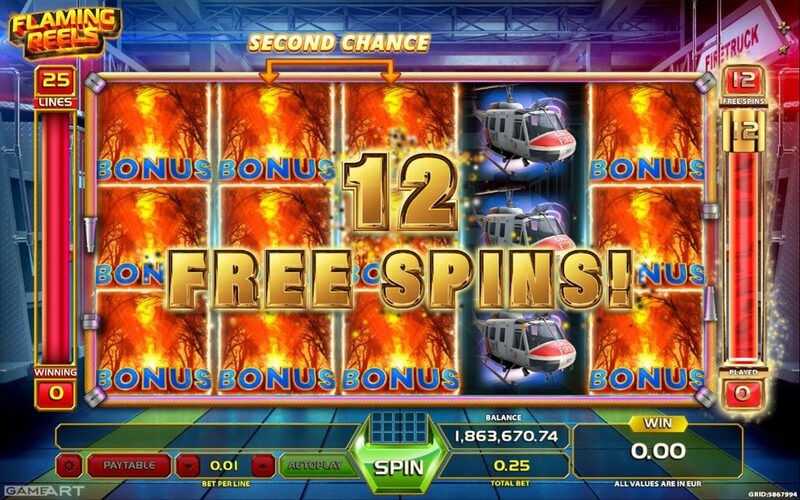 As the reels are burning a chopper will extinguish them and grant you more possibilities to win amazing payouts as the reel is transformed into a random stack of symbols available in the game. With lady fortune on your side you will be able to stack all 5 reels with the same symbol for they will all burn and trigger the payout across all reels for the given stacked symbol! The Slot is subject to Wild symbols as well of course, so keep an eye out for those HOT combinations.<br><br> Let's not waste any more time. 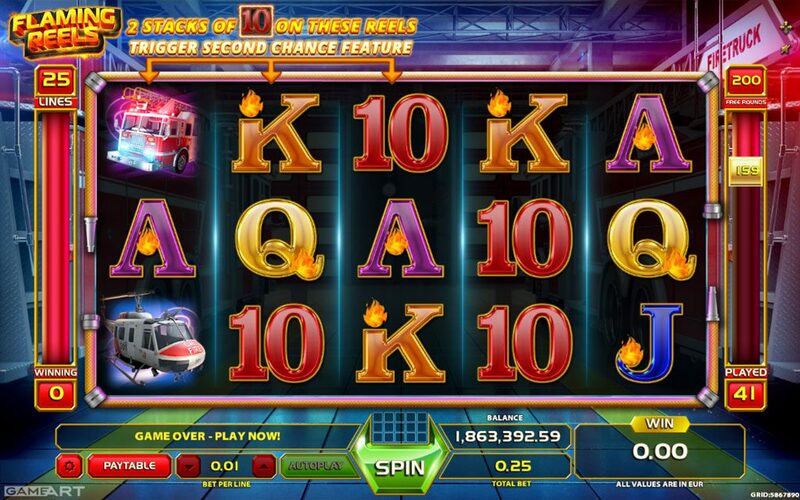 Get behind the wheel of the fire truck of luck. 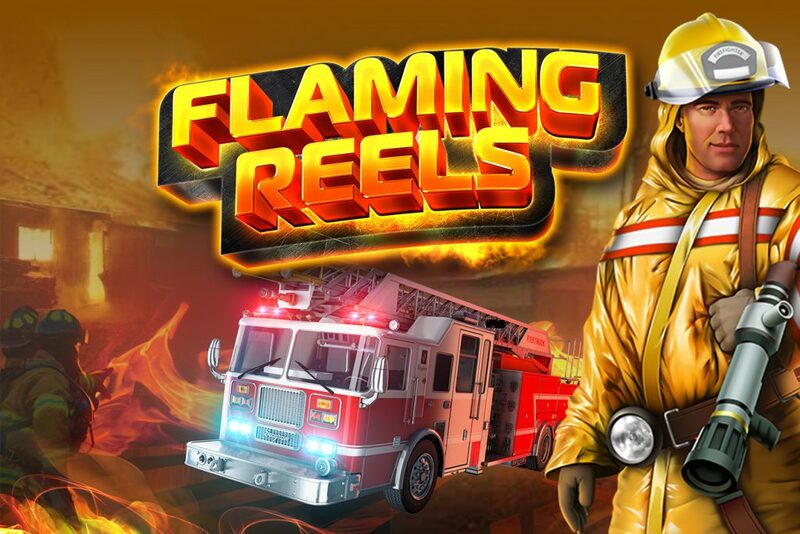 Why just dream of big wins if you can have Freespins, amazing in game features and gamble options letting you become a true master firefighter of the gambling world. One that knows how to extinguish the flame, but never the desire to win on the reels of fire.